The Galaxy S8 is a wonderful smartphone. 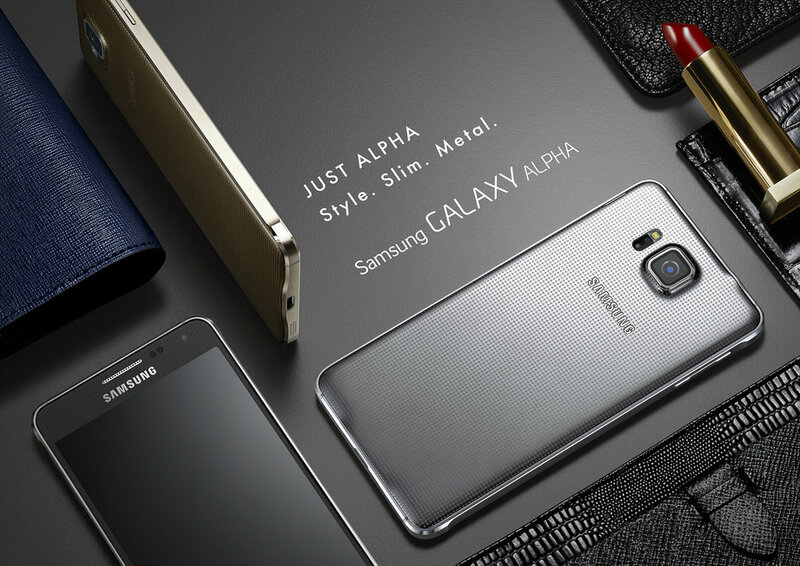 It looks fantastic and performs brilliantly. And by knowing some of the tricks, you can use the device in a more effective and amazing way than the other people. 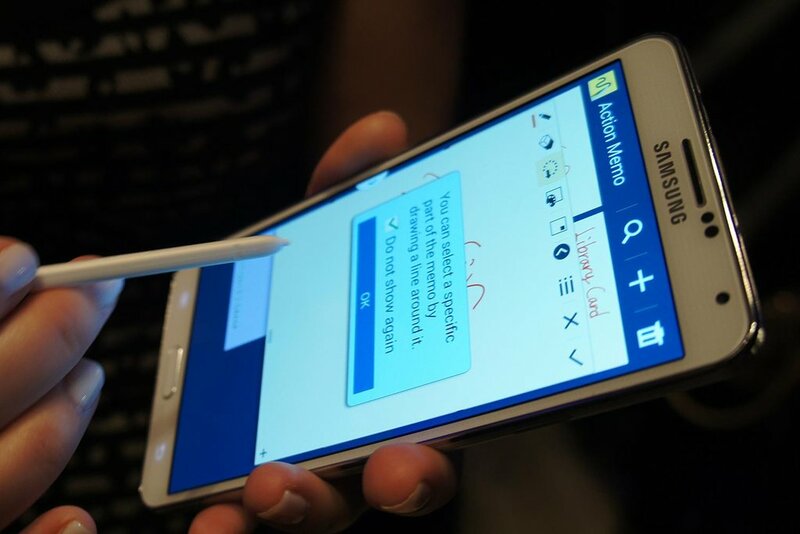 More importantly, you can transform yourself from a typical user to a smartphone wizard. Sounds good? 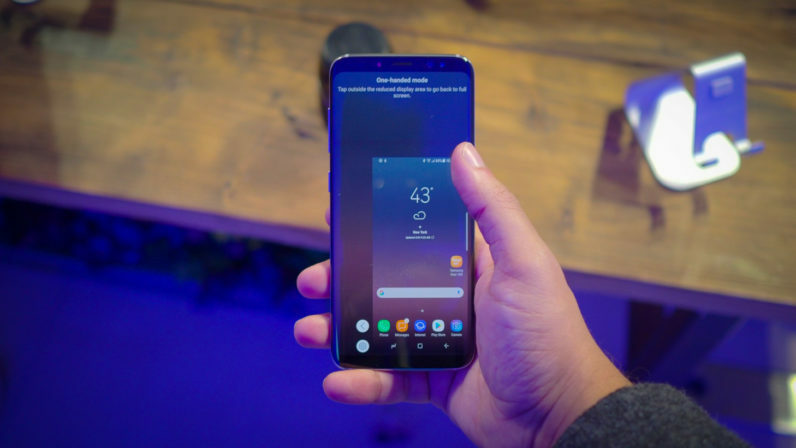 Take a look at these 10 awesome Samsung Galaxy S8 tips and tricks that will help you to bring the best out of the device. 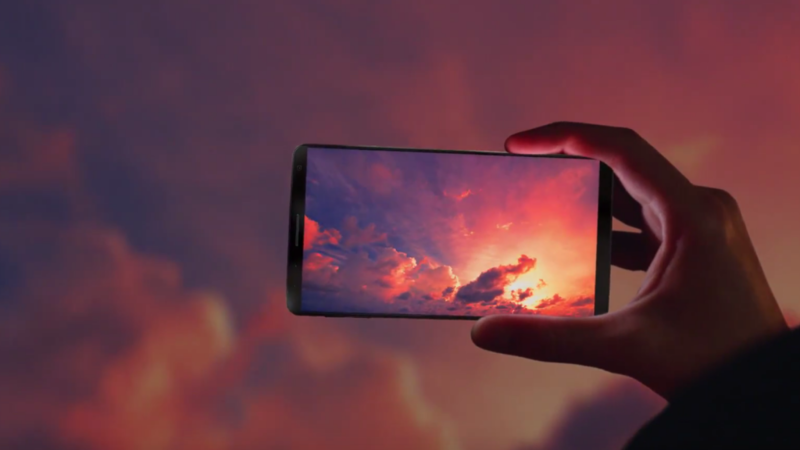 You can make amazing animated GIFS with the Galaxy S8 very easily. You just need to set the feature up by navigating through Settings > Edge Screen > Edge Panels and tap on “Smart Select.” Then open an app, like YouTube or Netflix, and find the video that you think will be perfect for making the GIF. After playing it, you will have to slide the edge panel out and scroll to the “Smart Select” panel. Then press the red button, select the area of the screen that you want to capture and tap on the record. You can capture GIFs up to 15 seconds in different qualities, including High and Normal. The exclusion of the headphone jack once again frustrates a massive number of smartphone lovers. It disables them from connecting their traditional headphones with the Galaxy S8. 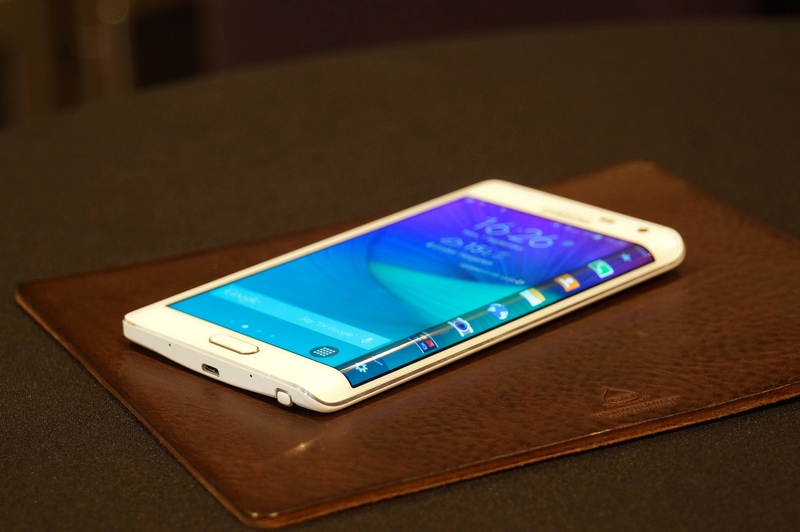 However, Samsung has introduced an amazing feature in compensation for that. The Korean company allows you to connect two Bluetooth headphones to the Galaxy S8 at the same time. So, you can enjoy audio streaming with your friend simultaneously. 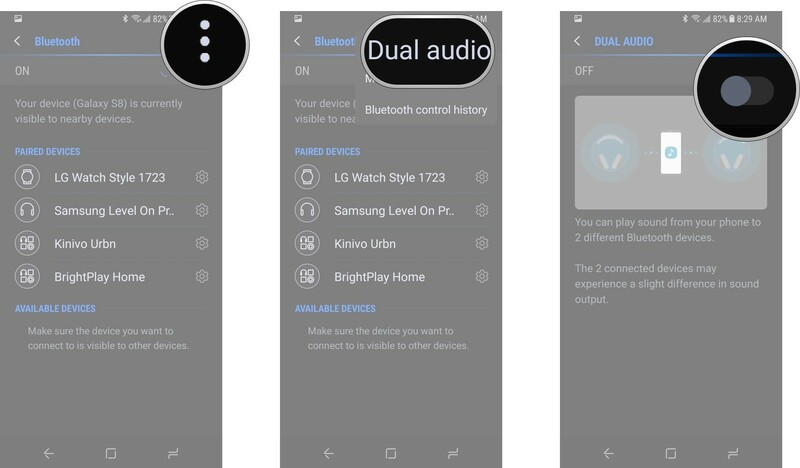 To use this feature, you just need to go to Settings > Bluetooth, select the headphones on the list and follow the pairing instructions. Galaxy S8 has a taller and narrower design, which gives it a better grip. But it also forces you to stretch your hand further to get to the top of the screen. The whole situation could have made the Galaxy S8 very difficult to use with one hand. However, in reality, it’s very easy to use. Thanks to the inclusion of the one handed mode. You just need to head to Settings > Advanced Features and enable the One Handed Mode. You can also activate it by tapping on the home button thrice, provided that the specific feature was enabled before. 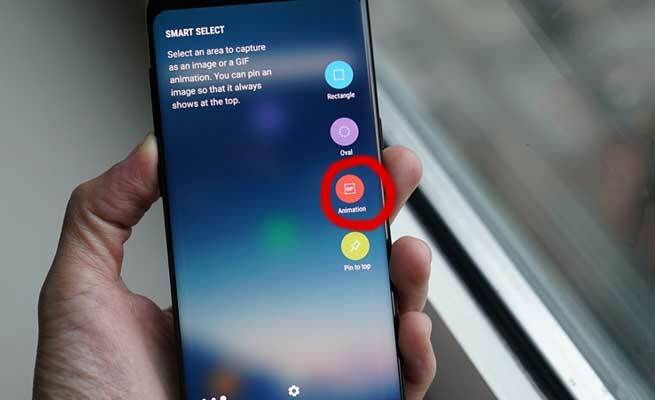 A cool feature that you might not be aware about is the finger sensor gestures. You can use this option to activate several features. 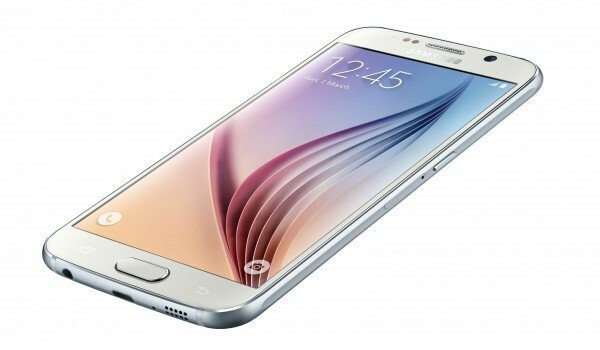 For instance, you can swipe up on the fingerprint scanner to launch Samsung Pay instantly. If you swipe your fingers down, the notification shade will be pulled down. To activate this handy feature, you just need to navigate through Settings > Advanced Features > Finger sensor gestures and toggle the button on. 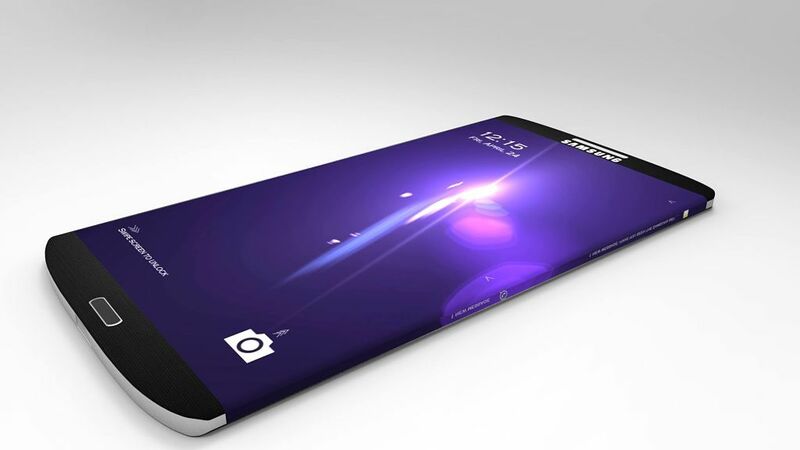 The Infinity display of the Samsung Galaxy S8 is massive. It offers a plenty of space to play with. A great way of using this extra area is playing with the split screen multitasking feature. You can run two apps side by side simultaneously, just like a PC. Setting up the multitasking functionality is really easy. Just hit the recent apps button and tap the multitasking tab on the apps that have been already running. You will find that the software are showing up in a half screen view. However, some of the apps do not support the specific feature. 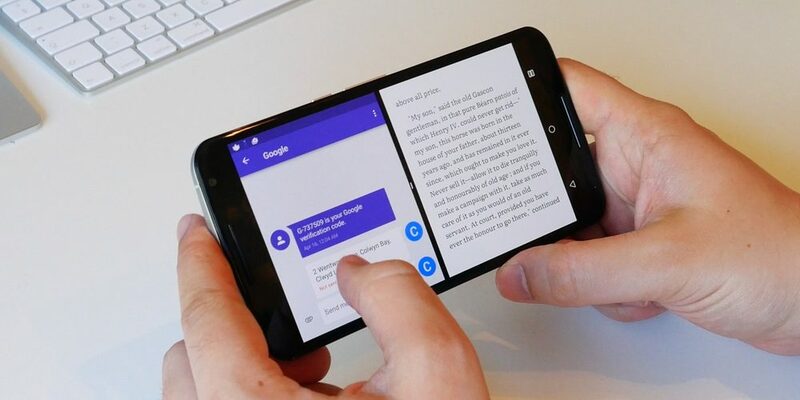 But you will have no issue in checking your messages on Gmail and surfacing online through a browser using two separate windows simultaneously. Did you wish to capture photos with the voice command a few years back? Well, your wish has come true with the Galaxy S8. You have to launch the camera app, tap on Settings and toggle the button beside “Voice control.” From now on, you can take stunning shots by just saying “Smile.” You no longer have to press the capture button. It’s a really amazing trick, which will definitely put a big smile to the face of everyone on the frame. It’s very common for the smartphone users to watch YouTube videos or movies in the dark room. However, there is a negative impact. 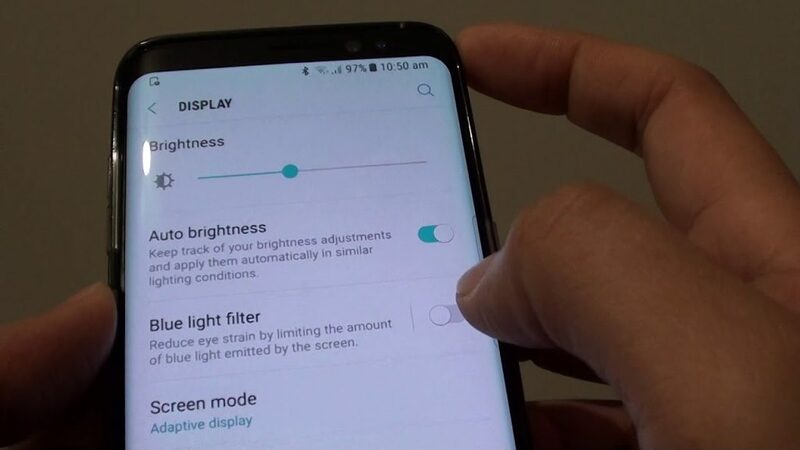 If you look at the smartphone display for a long time in the darkness, your eyes will be strained significantly. It will also create a massive disorder in your sleeping cycle. But you can get rid all of these issues on your Galaxy S8. You just have to activate the blue light filter. Go to Settings app and then Display. You will find the Blue light filter there. Tap on it and toggle “Turn on now” button on. You can also schedule the filter and alter the opacity. The Galaxy S8 comes with all types of security options, including fingerprint sensor, iris scanner and facial recognition technology. It ensures that the device will remain always safe from the hackers. However, there are certain situations when you do not have to use all these security options. When you are at home, you might not need them. 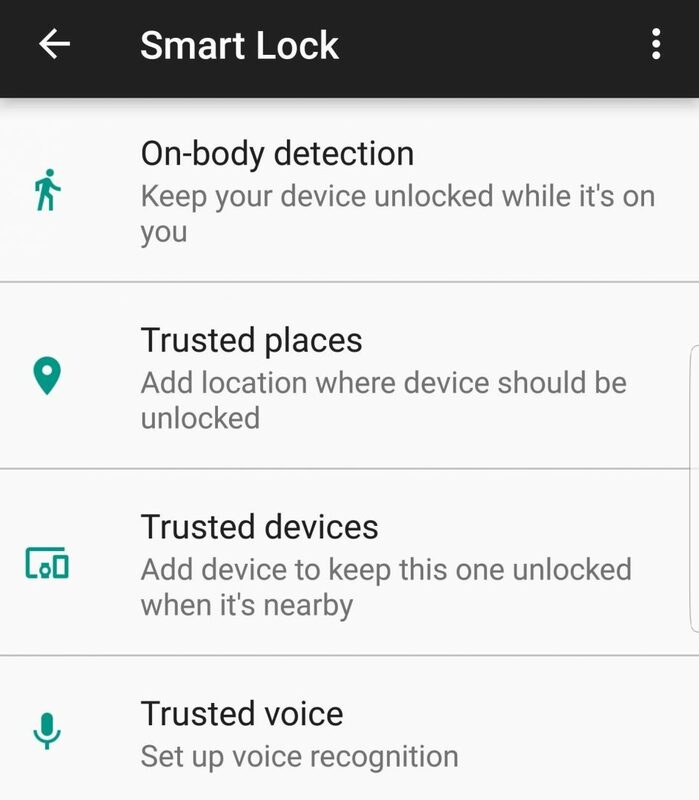 The device is smart enough to get automatically unlocked in such situations. Thanks to the Smart Lock feature. When you are in a safe environment, you do not need to face the hassle of getting access to your phone after passing through several authorization processes. To enjoy this flexibility, you have to navigate through Settings > Lock screen and security > Smart Lock. You will find a plenty of criteria to activate the automatic phone unlocking, including close proximity to your trusted places or devices. Galaxy S8 has something that can possibly save your life. 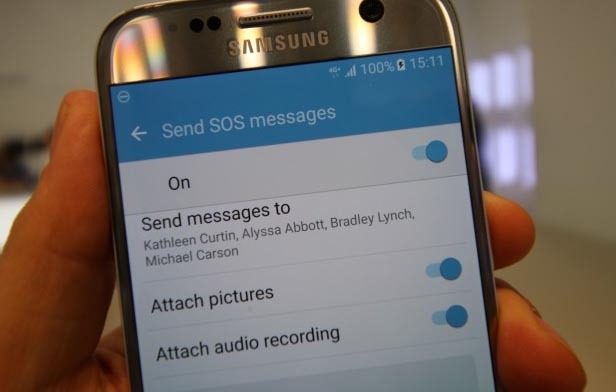 It’s the SOS message feature, which enables you to send emergency message to the persons you trust the most by tapping the power button thrice. The emergency contacts will be notified immediately about the dangerous situation that you are facing. But more importantly, it will trigger a request for the much needed help, which might save your life. To take the advantage of this amazing feature, you have to head to Settings > Advanced Features > Send SOS messages and toggle the switch on. After that, you will have to add at least one emergency contact. Everyone knows that the S Health app is incredibly helpful for tracking the number of steps and monitoring the heart rate. But what people really don’t know is its ability to remind the users about visiting the doctor before things begin to get really bad. It is not able to call the ambulance in case you become seriously ill. But the ability of reminding the users to go to the hospital is still pretty helpful and effective. 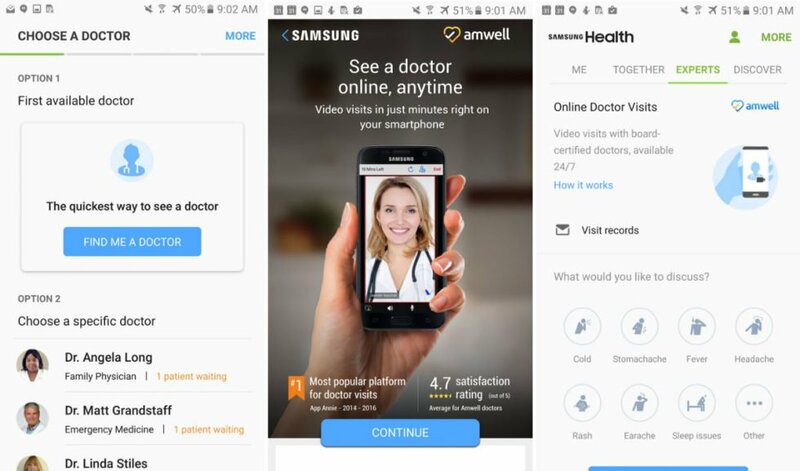 If you are living in the US, you can take the advantage of the integrated WebMD and Amwell services. They enable you to search for symptoms of different diseases and schedule the online appointments with the doctor. You can reserve the appointments 24 hours a day, 7 days week.